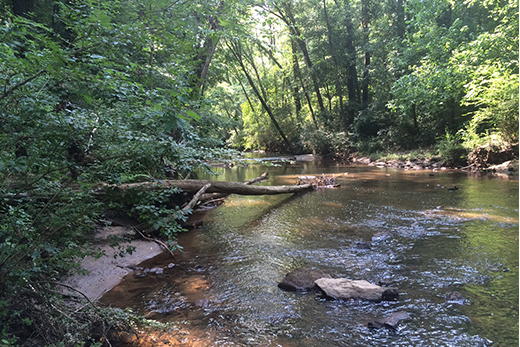 If you're looking for a place to walk, run, or just enjoy nature, don't forget about Hahn Woods, with its lovely views of the South Fork of Peachtree Creek. The entrance off Houston Mill Road includes free parking. Summer brings a welcome change of pace from the busy academic year, but there is still plenty to do at Emory. Most of these options are free for Emory employees, while a few have a small cost. 1. Party at the pool. The aquatic center at the Student Activity & Academic Center on Clairmont Campus features several special events in July. On July 4, celebrate Independence Day poolside with music, the Biggest Patriotic Splash Contest, other family games, and Skip's meal deals available for purchase. On July 17, enjoy Pops by the Pool with music and free treats from 4-6 p.m. On July 31, bring your own snacks and catch a "Dive-In" movie at sunset ($5 charge per family). SAAC offers discounted annual and summer memberships for faculty and staff, as well as 14-visit guest passes that average to less than $9 per visit. The daily walk-up rate is $10. 2. See a play in the Breaking Ground summer theater series. Breaking Ground, Theater Emory's annual summer series, is a four-week laboratory for new theater works with a focus on creativity and collaboration. July performances include "The Three Lives of Derreck Kayongo" (July 6, 7 p.m.); "The White Whale" (July 7, 7:30 p.m.); and "4:48" (July 11), a playwriting event that gets underway at noon and will result in four new plays by the end of the day. All Breaking Ground events are free and open to the public and take place in the Schwartz Theater Lab. For more information, visit Theater Emory's Facebook page or call 404-712-9118. 3. Check out the grand opening of Earth Fare. Earth Fare, an organic and natural foods grocery store, opens July 8 as an anchor merchant of Emory Point Phase II, located adjacent to Phase I on Clifton Road. The mixed-use Emory Point development was created in partnership between Emory University, Cousins Properties and Gables Residential, and is a popular destination for faculty, staff and students. The new Earth Fare will feature prepared foods and a 50-seat café with free WiFi, along with a wide variety of grocery items. The grand opening celebration gets underway at 7 a.m. on July 8 with giveaways, product demonstrations and live music scheduled throughout the day. 4. Enjoy the shade at Hahn Woods. 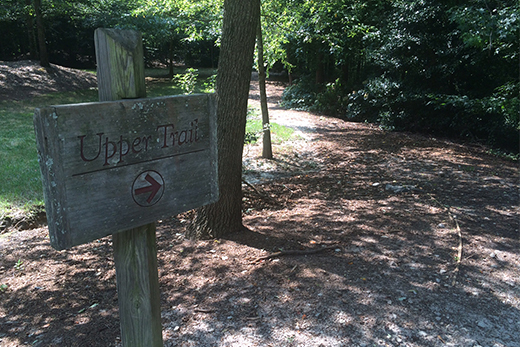 When you think about green space at Emory, Lullwater Preserve is often the first place that comes to mind. 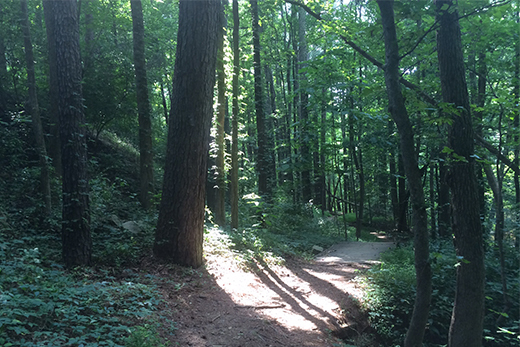 But if you're looking for another place to walk, run or just enjoy nature, don't forget about Hahn Woods, officially the T. Marshall Hahn Jr. Commemorative Forest, with its lovely views of the South Fork of Peachtree Creek. 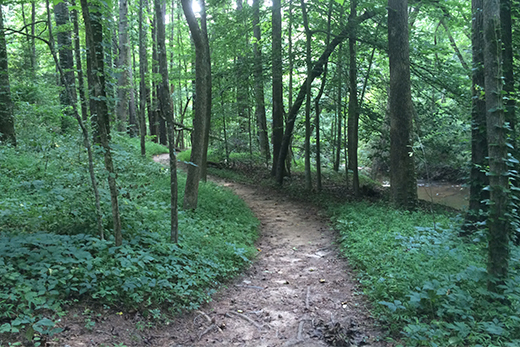 Access this peaceful, nearly five-acre preserve through the entrance on Houston Mill Road, which includes a small, free parking area. 5. Learn about the life and legacy of golf legend Bobby Jones. "Bobby Jones: The Game of Life," Emory's first major exhibition of materials drawn from its collections related to legendary golfer Bobby Jones, is on view through Nov. 30 in the Schatten Gallery on Level 3 of the Robert W. Woodruff Library. Jones, who attended Emory School of Law, remains known as the most successful amateur golfer in the history of the sport, in particular for taking the Grand Slam title in 1930 after winning the four major championships of his time in a single calendar year — a feat no one has accomplished since. Admission is free. 6. Hear slam poetry at "Brave New Voices." The Brave New Voices International Youth Poetry Slam Festival will bring 600 young poets to campus July 15-18 for four days of workshops and performances. Many events are free and open to the public, including two at Emory: the opening ceremony on July 15 from 6 to 9 p.m. at the Glenn Memorial Church, and Queeriosity, slated for July 16 from 8-10 p.m. at White Hall. Registration is required for most events and seats to see these inspiring spoken-word poets are filling fast. 7. Take an audio-guided tour of the Michael C. Carlos Museum. Tour the Carlos Museum's permanent collections with the help of a new audio guide, featuring 50 minutes of new material, including commentary from museum curators and Emory faculty. The guides, available on iPods, also have multimedia material. While visiting the Carlos, also be sure to see the special exhibit "Two of Each: The Nippur Deluge Tablet and Noah's Flood," which closes July 26. The Carlos Museum offers free admission for Emory faculty, staff and students. Audio guides are available for rent at the museum's information desk for $3 (free for museum members). 8. Beat the heat with an indoor walk. Walking is a great way to add exercise to your work day, but the mid-summer heat can make lunch-break walks more difficult. 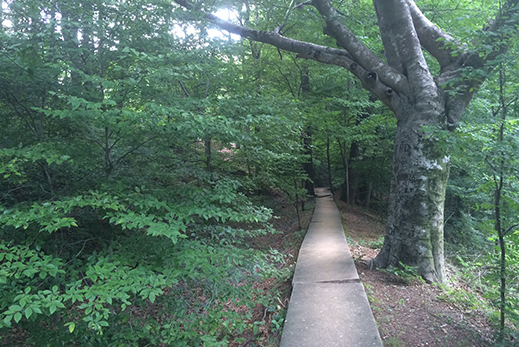 The Faculty Staff Assistance Program offers an alternative to outdoor walks with Meet Me @ The Tunnel, a six-week, indoor summer walking group that meets Wednesdays at noon from July 22 to Aug. 26 to walk the tunnels connecting Emory's hospital facilities. Meet at the tunnel entrance near guest services on the first floor of Emory University Hospital, near the valet entrance. 9. Experience a concert of the viola da gamba — or even try to play! “All the Colours in the Ayre,” the 53rd annual conclave of the Viola da Gamba Society of America, will bring 200 to 300 viol enthusiasts to Emory from July 26 to Aug. 2 for classes, workshops, informal playing and concerts. Free mini-concerts will be offered Monday, Tuesday and Friday; there will also be a featured concert on Thursday evening with a full-length performance by Nota Bene viol consort, with guest tenor Jason McStoots. Concert times and locations will be announced closer to the event. Want to try your hand at playing the viol? A beginning class is offered free of charge to the community during the conclave; instruments are provided at no charge with advance registration. 10. Explore "Windows on the World." "Windows on the World," the summer exhibit at Pitts Theology Library, runs through Aug. 15 and features five centuries of books, maps, photos and manuscripts from the collection of Atlanta Groliers in memory of David Parsons, a library supporter who died last year. Highlights include rare imprints of Robert Estienne’s press from the 16th century; autographed first editions of "Gone with the Wind" and "To Kill a Mockingbird"; manuscripts and books related to America’s third vice-president, Aaron Burr; fine art photography; and Gen. William T. Sherman’s map of Atlanta. The exhibit is free and open to the public during library hours.